I first saw Rennie Harris perform in Philadelphia in 1993. He was pure magic then, taking street dancing to a higher and purer level than I'd ever seen. He had a real gift, both as a performer raising the energy and the heat in the room by about 50 degrees just by stepping on the stage. I've seen his company a few times since, and each time I've been amazed. He continues to grow as a choreographer, and to build on his own personal strengths as a dancer, and to impart them on his company members. His latest show RHAW (Rennie Harris Awe-inspiring Works) which is now appearing at the New Victory is the culmination of his work. 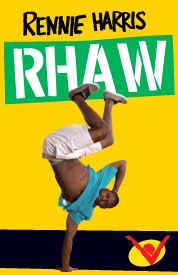 RHAW started as an organization when young dancers came to Rennie hoping to be in his company. Not having a place for all of them, he created another outlet whose mission has since become to serve urban youth by preserving hip-hop dance culture, teaching its members professionalism, show production, street dance history and technique in various styles of movement including Campbell Locking, Popping & Boogaloo, Bboy/girl, House and Hip-hop. The organization has also become a performance company in its own right, showcasing the future Rennie Harris's. 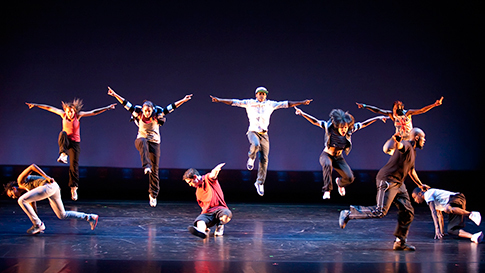 The show features 9 very talented young dancers, and will feature 3 works choreographed by Rennie: “Brother,” an emotional performance about less fortunate male figures in society who are often judged and condemned; “Three B Boys & A Girl,” a love story told through nontraditional break dancing vocabulary; and an excerpt from “Bohemian Rhapsody,” a dance musical featuring music by Queen, which tells a coming-of-age story about one young man’s search for love, identity and justice. Additional numbers in the show include the memorable “110th Street,” featuring music by Bobby Womack and Peace, and “JAM/Hip Hop Bows,” an ode to Michael Jackson choreographed by Rodney Hill that utilizes popping and hip-hop social dances of the 80s and 90s to create a buoyant show finale that summarizes the foundation and core of RHAW—youthful, energetic and ready at a moment’s notice. RHAW performs at the New Victory through May 26. Go here to get tickets.